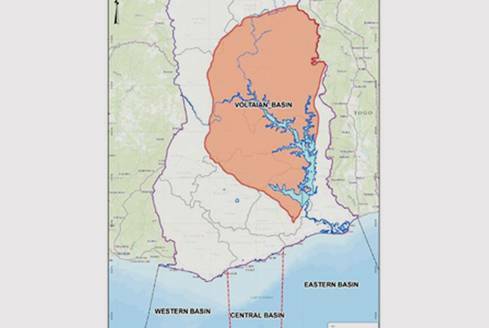 The Voltaian Basin covers approximately 104,000KM² or 40% of Ghana’s land mass. The basin is a sedimentary Neoproterozoic basin, with a number of similarities to areas in North Africa and elsewhere, which are already producing significant volumes of hydrocarbons. EPI Group were awarded a two-year renewable contract to assist GNPC in delivering its first ever onshore seismic program, the only other onshore seismic in the Voltaian Basin being acquired by Shell in the mid 1970’s. 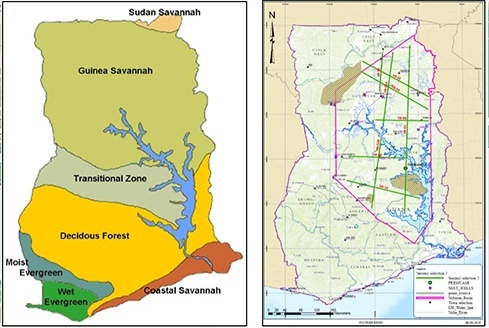 Land Seismic Project Management – Providing guidance to GNPC project delivery team from setting budgets, creating tenders and strategies, evaluation, acquisition and data processing. Environmentalist/Ecologist – Responsible for developing the Environmental Impact assessment and working with the Ghanaian regulator to have it approved. HSEQ Advisor – Assisting and providing guidance in the development of an HSE-MS, tendering criteria and the associated plans such as security, environmental, site specific. Field Acquisition QC – Implementing industry standards, providing tendering criteria and advice in acquisition techniques. Geomatics QC – Ensuring that the chosen geodetic datum is fit for purpose, providing tender input and guidance on best industry practice. Technical Auditor – Will audit the equipment of the seismic acquisition contractor to ensure it conforms to contractual specification and is operating to manufacturers specification. Geophysical Design – Designs the parameters of the survey to make sure that the earth’s response is modelled in such a manner as to allow the seismic effort to meet the imaging objectives of the survey. Access to impartial industry standard advice and support. EPI Group provide a “one stop shop” for land seismic project management providing GNPC with access to industry experts. An intensive program of bespoke training tailored specifically for the Voltaian Basin team.